Twenty little baby-related words are hiding in this maze of letters. How do you go about finding them? Easy, just put on the detective coat, get your magnifying glasses ready, and go looking for the words! 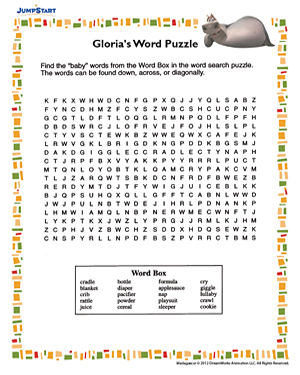 Keep in mind that they may be hiding in horizontal, vertical, and even diagonal positions, so make sure to look through this printable word search puzzle thoroughly.